Total Run Time: 150 min. And now, they're coming back! 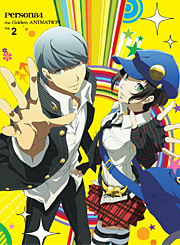 Based on a hugely popular RPG, Persona4 became a sensation as soon as it started airing in 2011, drawing in not only gaming fans, but anime fans as well. 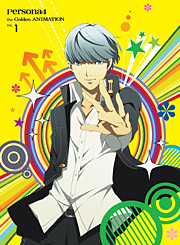 Released after the broadcast, the PlayStation Vita title, Persona4 The Golden, was a massive hit, with 350,000 copies sold, as if to flaunt Persona4's seemingly unstoppable popularity. Now at last, the "Golden" days will begin! 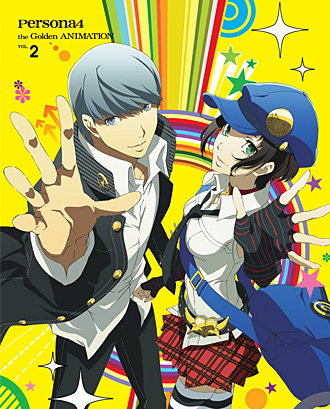 Yu followed Adachi into the Midnight TV to find the truth behind a series of incidents in the rural town in spite of Marie’s warning to stay away from him. 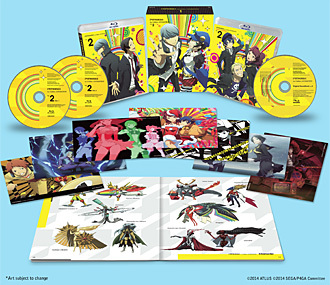 When Yu’s Persona and Adachi’s Persona fight, Yu understands what had happened to Adachi before. Yu could not find words to comfort Adachi and he goes back to the real world. Meanwhile, Marie continues searching for her memories she had lost. Can Yu and his friends reach the fact?